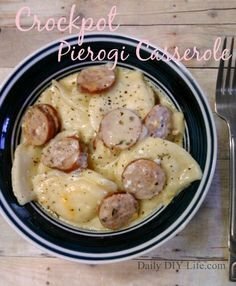 Crockpot Pierogi Casserole with Kielbasa - Easy Meals recipes are a favorite in our house especially during the week. No fuss, No muss! And delicious too!